The perfect French carp fishing escape for these well travelled anglers. This week we had the pleasure of welcoming Mick and Penny to the venue for the first time. 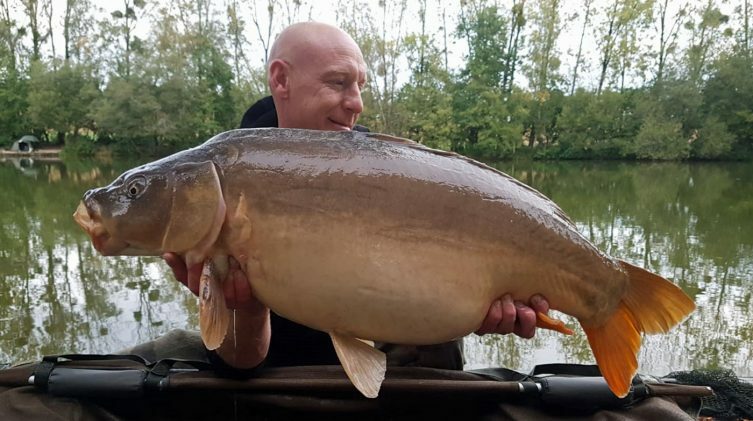 These French regulars have been coming to France for their carp fishing fix for 12 years or so and like many French veterans, they have visited a wide variety of venues. In recent years they’ve only visited exclusive hire venues like Beausoleil which gives them the privacy and level of service they expect. It’s always interesting to meet guests like these as there are always many stories to enjoy. On arrival the guys were delighted with their choice for this session and were highly complimentary of the accommodation and lake. We love what we do so it’s always nice to know that someone else appreciates our approach. Lake tour done, we left the guys to settle in and absorb the atmosphere. The great thing about Beausoleil is that you can take things at the pace you need. For many of our guests, all they want to do after they arrive is settle in and not worry about fishing until Sunday. When I called round on Monday, Penny had been the one to fish on Sunday night while Mick caught up on some much needed shut eye. During the night she experienced a few knocks on various rods as is often the case but nothing that she felt was strikeable. 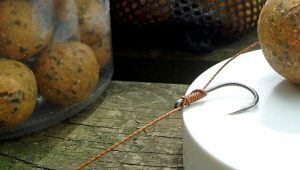 On wind in on Monday morning she was taken aback when she found that one rod was connected to the sturgeon who’d rigged himself up but not bolted in the traditional manner. Once disturbed, he fought hard and fast and when he went in the net, Penny was delighted as she’d never caught one before. Our carp are famous for taking the lead walkies without giving much in the way of actual indication. Maybe Sammy has been taking notes! 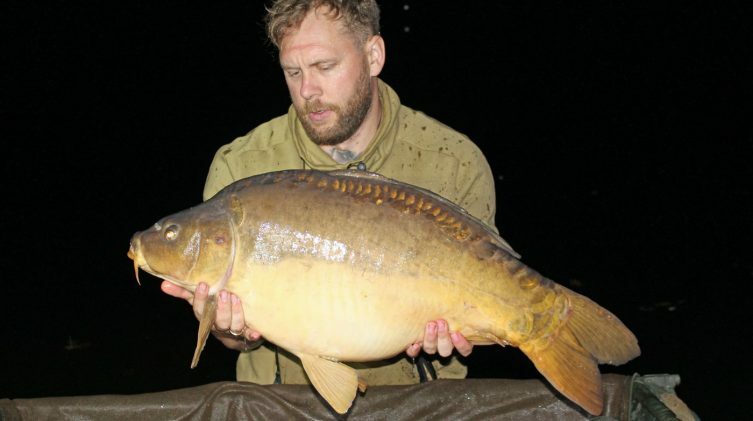 We called back Wednesday and were happy to see that Mick had banked himself a mint mid twenty mirror. For him the condition of the fish was more important than the size and rather than put him through the stress of photos they were happy just to slip him back quietly to his home. This was another night take at a rather uncivilised hour but the fish feed when it suits them! Mick and Penny took the challenge of the venue in their stride and were utterly unfazed by its difficulty. In fact because it’s hard, it made them love it even more! Mick did connect with an unstoppable beast of a catfish but unfortunately the hook pulled. Mick said that he’s not going to learn the lake like this on the first trip. To be fair even after eight years I’m still learning more and more about this fascinating venue and the creatures that live here! Over the years Mick and Penny have made a number of friends over here and so each trip is a great excuse to get together with anyone in the area. They had a couple of day trips, met up with some friends and made the trip a very social affair. A holiday to Beausoleil is so much more than just fishing and it’s great to take the time to smell the roses along the way. 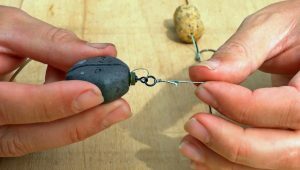 One of the biggest lessons that Mick and Penny have learnt over the years is that every venue is different and that each fishery owner is usually the best person to advise on rigs and bait. Mick and Penny took all our advice on board and followed our guidelines to the letter. The lake bottom is brutal and very strong mainline and 1m of tubing is absolutely essential. 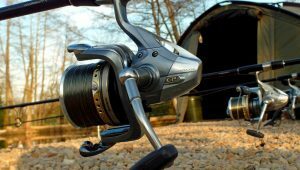 The 25lb Big Game did not disappoint and we would urge everyone that fishes here to spool up with this. Mick was very complimentary of our YouTube Channel and he could clearly see the benefits that the Beausoleil rig and tell tale system offer. 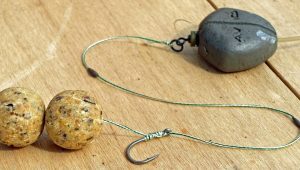 To get started they ordered some of our ready tied rigs and a good selection of our home rolled baits. I spent a little time with them on Monday offering a few pointers and then left them to explore the place for themselves. Mick and Penny loved the kettle bell test and immediately saw the benefit it brought to fish safety especially when tackling a water that contains some massive specimens. Penny actually wants to buy one for when they travel to other venues. In the end they never really had their knots tested by what they hooked but they were happy to know they were prepared for whatever came along! OK so on the actual catch report front is was a quiet week. Mick and Penny fished from where they were the most comfortable and didn’t waste energy chasing them round the lake. The skies were clear blue most of the week with warm temperatures during the day but much fresher at night. The air pressure was in excess of 1025mb all week and it never really felt very carpy at any point. The lake is hard in these conditions but the great news is that they loved the place and can’t wait to come back! Maybe a little more understanding on our part of the lake, but you live and learn - thank you both for the welcome and help.